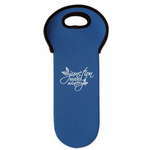 Our personalized neoprene wine holder fits a variety of wine and champagne bottles and features a single logo imprint. 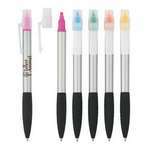 Write your way to success, without spending a fortune on brand promotion, using the Neptune Pen with Highlighter. 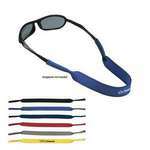 Add your business logo and tag line on this useful pen and highlighter combo to increase your brand’s outreach. Whether you have tech savvy clients or are simply looking for a top-of-the-line personalized gift, then a branded Night Charge 3 Port Charger is the way to go. 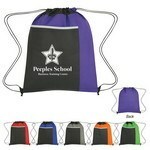 Our Non Woven Drawstring Pack with Large Front Pocket is made of 80-gram non woven, coated water-resistant polypropylene with a spacious main compartment for additional storage. Carry that favorite bottle of wine, as well as the ones your family or friends may prefer, in the Non-Woven 4 Bottle Wine Tote. The wine tote is made of 80 gram non-woven, coated water-resistant polypropylene material. 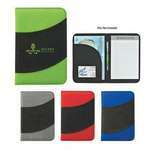 The Non-Woven 5" X 7" Bubble Padfolio combines together a unique design, a colorful look, and functionality. It includes a 30 page lined 5" x 7" writing pad with an inside flap pocket. 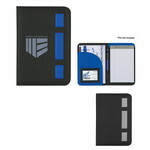 The Non-Woven 5" X 7" Ribbon Padfolio looks attractive. It has a pretty design. 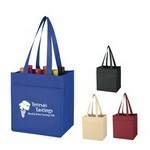 Cater to the personal preferences of your group of family or friends by using Non-Woven 6 Bottle Wine Tote. 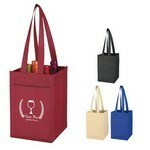 The wine tote is made of 80 gram non-woven, coated water-resistant polypropylene material. A unique design, a colorful look, and functionality are the hallmark of the Non-Woven 8 ½" X 11" Bubble Padfolio. It includes a 30 page lined 8 ½" x 11" writing pad with an inside flap pocket. 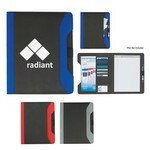 The Non-Woven 8 ½" X 11" Endeavor Portfolio gives its all, to meet your various stationery requirements. 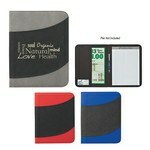 It includes a 30 page lined 8 ½ " x 11" writing pad with eight card holders.